Playing table tennis with Microsoft’s PR agency and GMTV this afternoon on the train home from London. 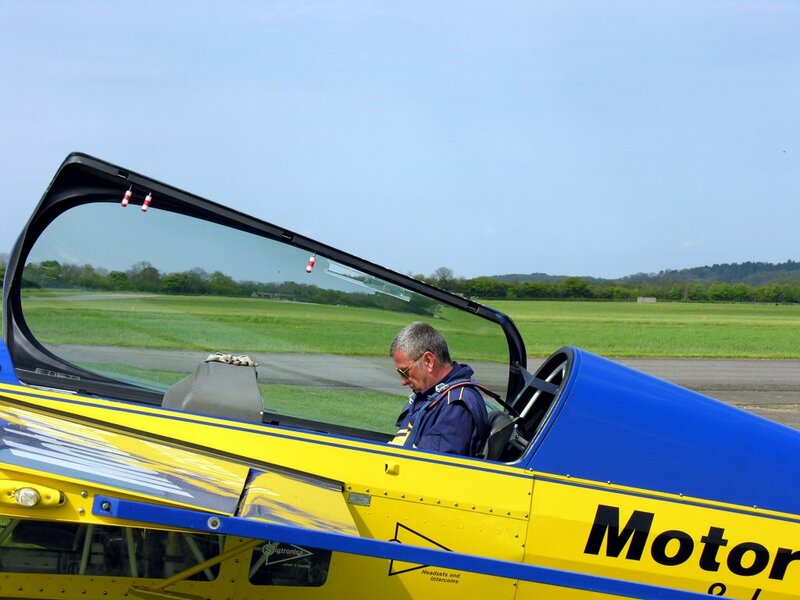 Last Friday GMTV had scheduled young Charlotte, now aged eleven, to go flying with one of the UK’s top professional aerobatics pilots, Denny Dobson in his Extra 300. You may have seen Denny on the Discovery Channel’s new “Rough Trades” series last night. 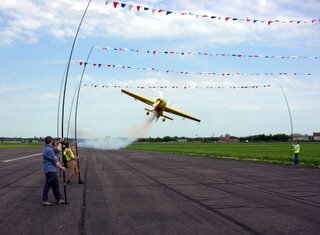 The idea is that GMTV film Charlotte flying the more sedate Cessna 172 and then Denny will give her a lesson and let her fly the Extra 300, probably out of Manston, the biggest challenge being an attempt to do this by 8 am; it only gets lights at 7:45 am as I explained to the PR agency. Anyway, last Friday fell through, because of weather, darkness, timings etc, so we may have another go on Wednesday or simply leave it until it gets light a little earlier. in the mornings. Thanet's eleven year old test TV pilot has insisted that if she has to risk puling an inverted six "G" then she would rather like a Microsoft X-Box out of the deal, to which PR agency have kindly agreed under duress. 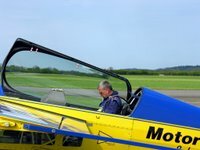 The Extra is used by top aerobatic and air show performers world-wide and its abilities as a commercial dogfighting machine are second to none. The Extra is stressed to +/- 10G’s, has a roll rate of 360°/second, and a climb rate in excess of 3200 fpm making it one of the safest and most capable aircraft in the sky. It’s an interesting reason for being late for school in the morning I suppose. I’m glad I’m not eleven!